Gardening with your children is a great way to teach them the importance and benefits of hard work. Not to mention, working in the garden together as a family can be a lot of fun. 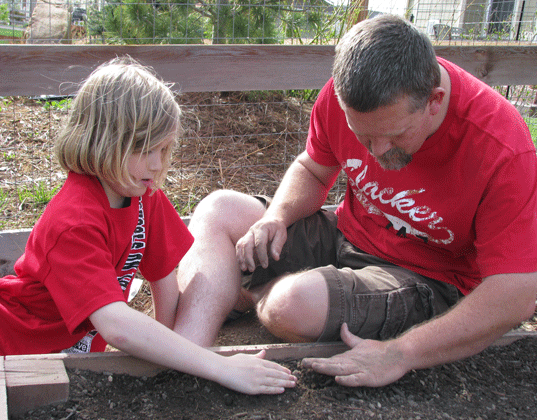 When kids garden, they can get their hands dirty and learn new things, all at the same time. 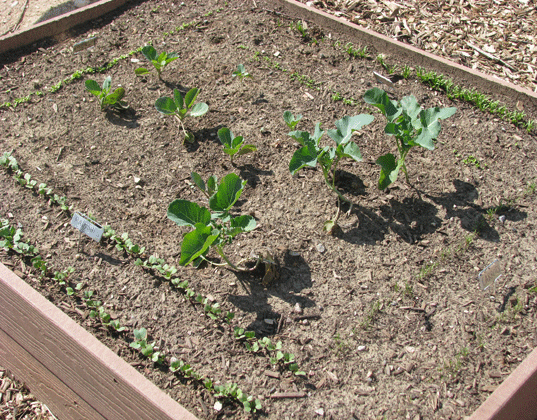 Help get your tots excited about caring for sprouts by giving them a raised garden bed of their own to tend. Follow our how-to guide to get started. You can choose from a wide variety of material to build your raised beds. My favorite materials are reclaimed ones–my family purchased composite decking that was salvaged from a home deck remodel. Wood, stone or brick are all good options, too. 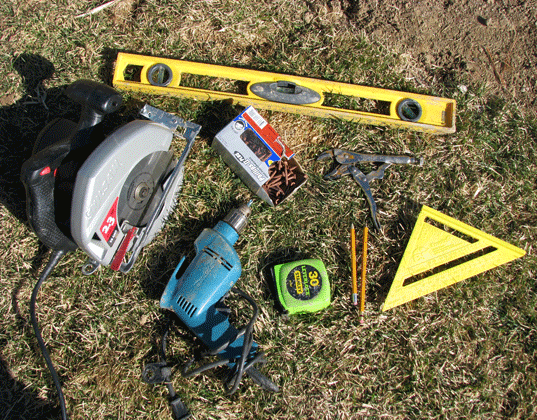 You’ll also need some hand tools to construct your raised garden beds including a saw, level, tape measure, pencil and screws. Choose a location for your raised garden beds based on the type of vegetables and fruits that you plan to grow. Do they need full sun or do they love the shade? Also, keep in mind that the area should be level, near a water source and have room for you to move around while you work. Make sure to choose a design that allows family members to reach the middle of the bed. We designed our garden to include three raised beds, one for each member of our family. Two of our garden beds are 103 inches long, 50 inches wide and 12 inches deep and one is smaller to accommodate our son, which measures 63 inches long, 50 inches wide and 12 inches deep. To help you plan sizing, map your garden beds with string, for a visual of what it will look like before you break ground. First, level the ground where your garden bed will soon be. Then, dig 12″ holes to put your posts in. Bury and secure the posts. Next, build the sides of the garden beds using your materials of choice–we used 8 pieces of composite decking. Attach the garden bed sides to the posts with two 6-inch screws at each corner, first pre-drilling and then screwing them together. Use a level to make sure the frame is level on all sides. We made sure that each section was level before securing the screws all the way. You don’t want water running into one corner or pooling in your garden beds. Once the sides are securely attached, you can cut the tops of the posts so they are level with the sides. Grab a wheelbarrow and fill your garden beds with a good mix of high quality topsoil and organic compost. Children will love to help fill the wheelbarrow and then dump the dirt into the garden beds. Once you have filled the beds and leveled the tops, you are ready to begin planting. Choose plants that your family will enjoy and eat. Some great choices for kids include carrots, berries, cucumbers, peppers, peas, melons, pumpkins, cabbage, tomatoes and lettuce. Children will enjoy digging the small holes to plant the seedlings or sowing the seeds. 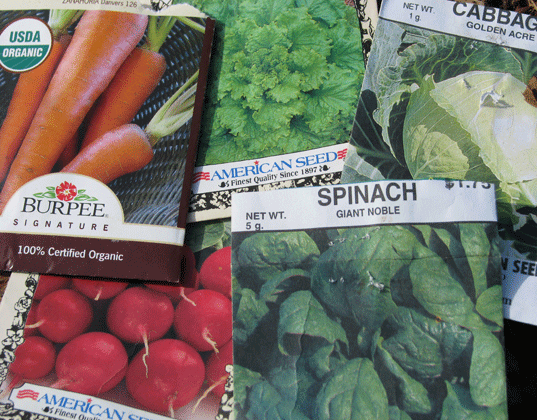 Adding recycled garden stakes is a great way to label the goodies so your children will know what they are watching grow. Garden beds are super easy to take care of and only require watering and a little weeding. Spending time together in the garden as a family is a fantastic way to build bonds and traditions. When it’s time to harvest the goodies, children will have a wonderful time picking, collecting, washing and eating the fruits and vegetables of their labor. 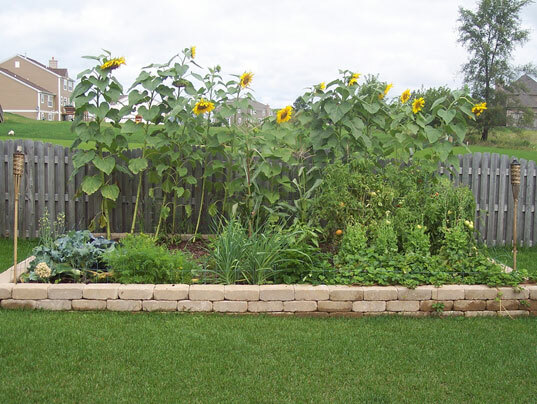 A raised garden bed is an excellent eco-friendly activity for the entire family. Do you garden with your children? Let us know about your garden in the comments section! We did square foot gardening last year but it did not work out very well...not enough soil This year we did container gardening and it worked VERY well! We didn't do a raised bed but just planted veggies/fruit in our flower pots instead of annuals. BUMPER crops of tomatoes and cucumbers and tons of lettuce and herbs too! You can choose from a wide variety of material to build your raised beds. My favorite materials are reclaimed ones--my family purchased composite decking that was salvaged from a home deck remodel. Wood, stone or brick are all good options, too. You'll also need some hand tools to construct your raised garden beds including a saw, level, tape measure, pencil and screws. First, level the ground where your garden bed will soon be. 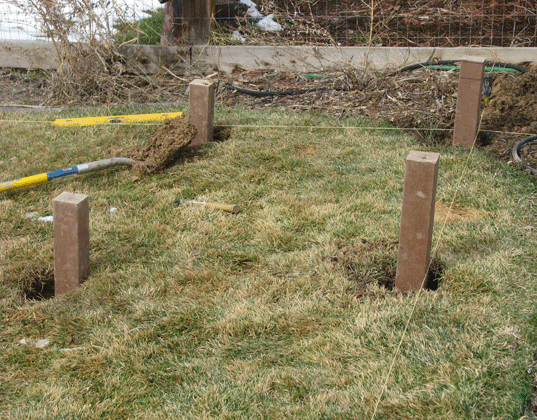 Then, dig 12-inch holes to put your posts in. Bury and secure the posts. Next, build the sides of the garden beds using your materials of choice--we used 8 pieces of composite decking. Attach the garden bed sides to the posts with two 6-inch screws at each corner, first pre-drilling and then screwing them together. Use a level to make sure the frame is level on all sides. We made sure that each section was level before securing the screws all the way. You don't want water running into one corner or pooling in your garden beds. 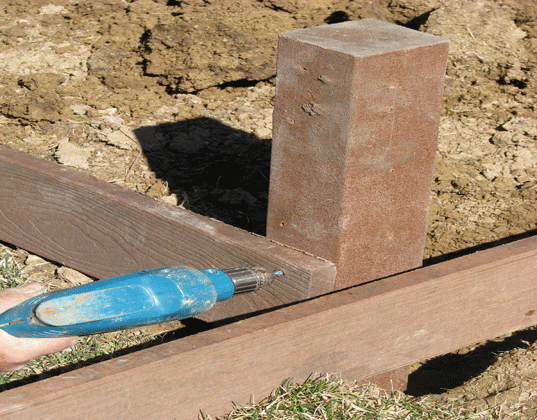 Once the sides are securely attached, you can cut the tops of the posts so they are level with the sides. Garden beds are super easy to take care of and only require watering and a little weeding. Spending time together in the garden as a family is a fantastic way to build bonds and traditions. When it's time to harvest the goodies, children will have a wonderful time picking, collecting, washing and eating the fruits and vegetables of their labor. 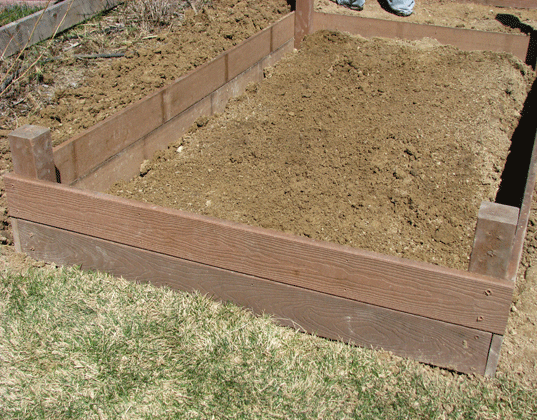 A raised garden bed is an excellent eco-friendly activity for the entire family.